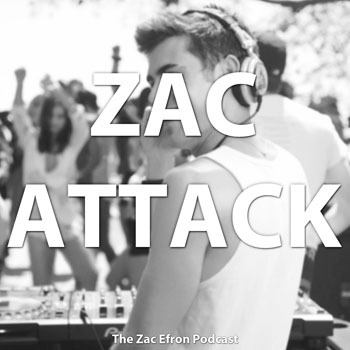 Welcome to #ZacAttack! Join us as we take a look at the storied film career of the man, the myth, the legend that is Zac Efron! Join Joey and Joe as they track every time Zac Efron cries, every time Zac Efron is shirtless, every time Zac Efron runs, and every time he does all three at the same time. With an ever-expanding mythology and an ever-growing stable of games, we’re never going to be better than this. #ZacAttack – Voting for the Zeffies is Now Open! #ZacAttack #029 – Clip Show and Announcing the Zeffies! Are We Ever Going to Be Better Than This? Introducing #ZacAttack!